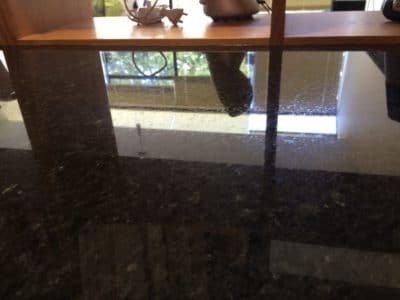 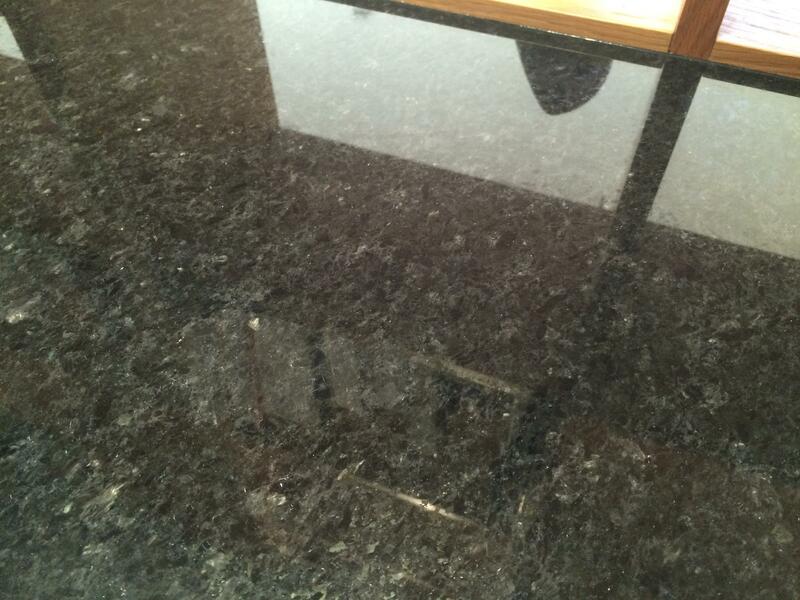 Scratched Black granite in a private house needed scratch removal and polishing to restore the original look. 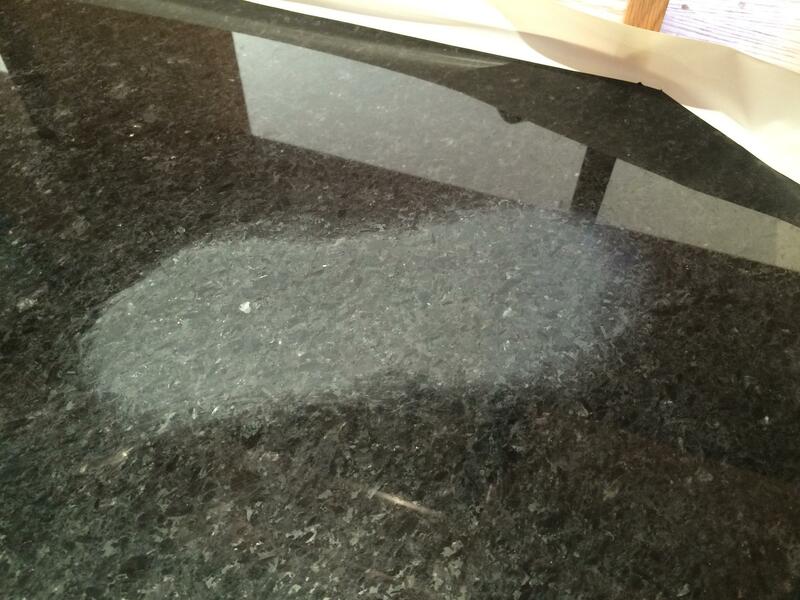 Long scratches appeared in a new granite kitchen top after a large fruit bawl was dragged on the surface. 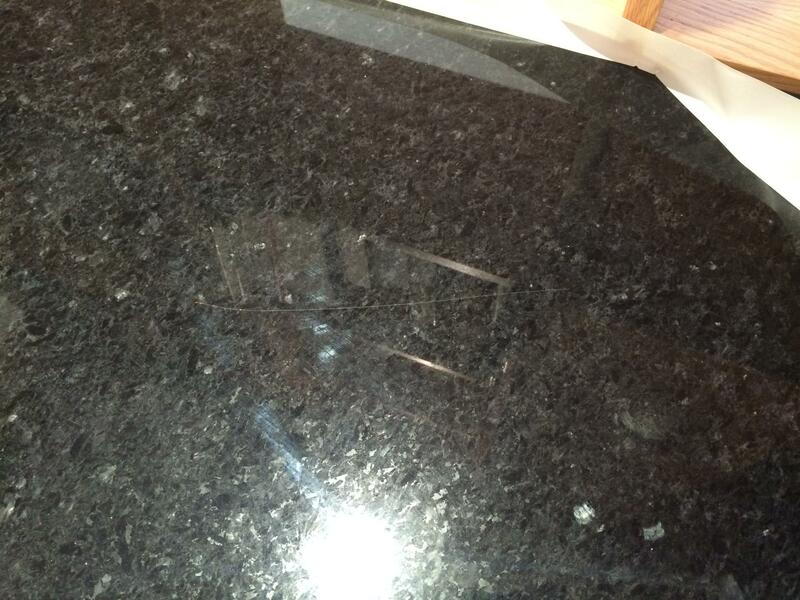 First stages of the polishing repair. Another stage of the polishing of the stone. 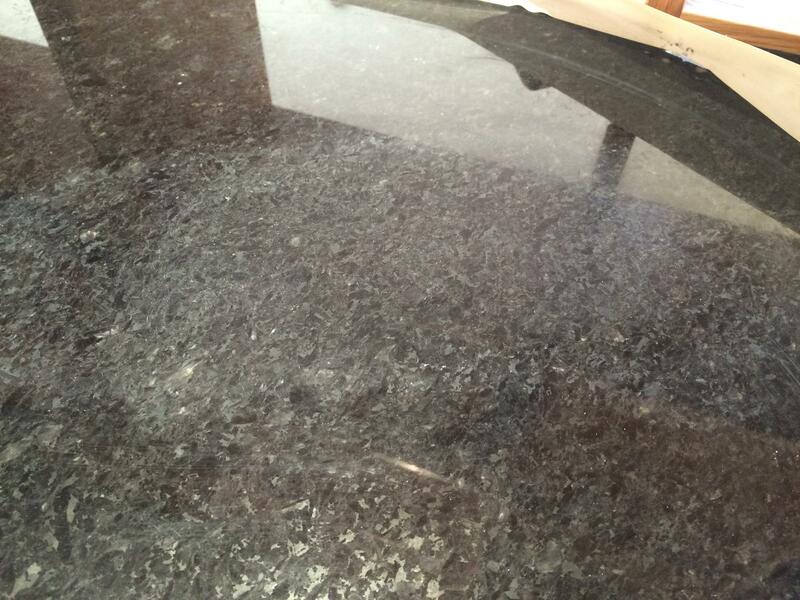 Polishing is completed to reveal new shiny and scratch free surface. The reflection from the stone work top shows no imperfections or polishing done.